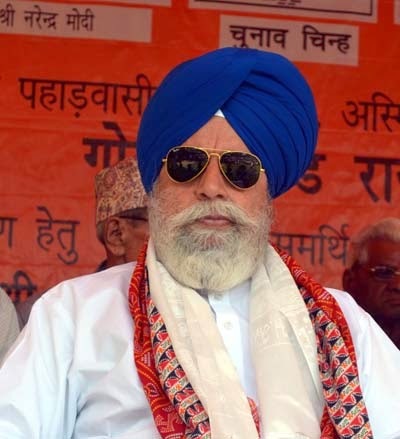 Darjeeling MP and senior BJP leader S S Ahluwalia said today that the state has a concealed motive behind the police raids in Darjeeling in connection with the arms haul in Assam. “The raids can be a result of Gorkha Jan Mukti Morcha (GJMM) chief Bimal Gurung's denial to the chief minister Mamata Banerjee's proposal asking him to leave the BJP party,” Mr Ahluwalia said. “Police are harassing GJMM activists unnecessary by conducting raids in the Hills. I had a word with the senior police officials and I'm still wondering why the raids are being conducted. It reflects the vindictiveness of the state government," he added. Recently, Mr Gurung met Miss Banerjee in Kolkata. It is said Miss Banerjee asked him to quit the BJP party. As, Mr Gurung denied the bid, the state government resorted to harassment of GJMM members through raids," said Mr Ahluwalia in Siliguri today. Mr Gurung had met Miss Banerjee at Nabanna on 2 December a day after the BJP rally in Kolkata lead by party president Amit Shah. GJMM, being an ally of the BJP had also attended the rally. "Mr Gurung made his stance clear that the party does not believe in any kind of violence. The party believes in the principles of Mahatma Gandhi of peace and prosperity," he said.